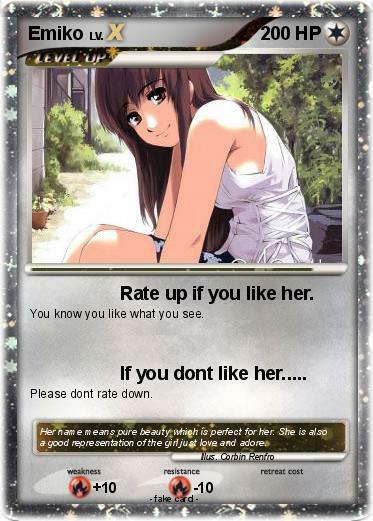 Attack 1 : Rate up if you like her. You know you like what you see. Comments : Her name means pure beauty which is perfect for her. She is also a good representation of the girl just love and adore.